Dan, a middle manager working in San Francisco, is thrust into a fight for his life. He must overcome who he is and learn to fight for his life and lead those around him. 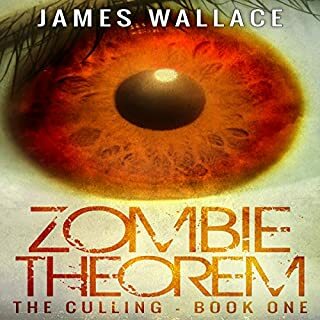 While surviving, he finds the real reason for the zombie outbreak and is pulled into a whole new fight, this time against a shadowy power calling themselves the Culling Initiative. Mo Collins, the reluctant hero, has sailed around the country on board the replica pirate ship, the Viva Ancora, and now he finds himself only miles from his childhood home. But now the world has gone to hell. 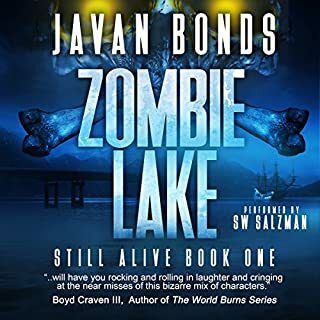 Hordes of naked, blue, biting zombies have flooded the now dead Alabama lake town. Mo and his only surviving shipmate, Crow, are surviving. They fish and watch the monsters roam the night; seeking untainted flesh and leaving a disgusting mess in their wake. But when a lone survivor stumbles upon Mo and Crow they gain a new crew member but also find much needed direction. Zompocalypse? Better make a run to the Walmart! They came from the night sky, lighting the heavens like the promise of salvation. But they didn't bring deliverance.... They brought something far, far worse. Something that turns people into mindless, cannibalistic monsters. And it's spreading. A reporter follows her story of unspeakable horror south of the border and finds it's worse than she imagined. A wounded fighter pilot finally gets his chance to return to duty but is faced with a mission that could cost him his wings, or his country its chance. Alien virus twist to the ZA. Dan survived the flu and zombies in the Trans America Tower. He escaped the zombie hordes in San Francisco, with help from his new friends in the SFPD SWAT team and on his way out rescued a mysterious little girl named Angel. Dan is an emerging hero, who helped discover the plans of the culling initiative and their mercenary army, the Ridder Group. Now he must rescue his ex-girlfriend Julie, and his friend Vic's wife from numerous hordes of the dead. 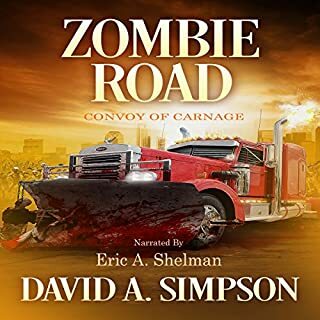 He must learn and adapt to find new ways to destroy the zombies and protect his friends and family. 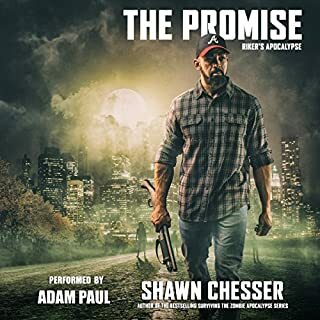 Standing in his way to getting home to his dad's ranch north of Spokane he will have to overcome the dead and become the leader everyone needs him to be. Questions will be asked about the culling initiative and some answers will be discovered while more questions are asked. this is book 2 and gotta say, the action is non stop. just when you thinking our heros can catch a break, they are being followed. where did all the people go in Washington state, do they make it to Dan's fathers ranch, and once there will they survive. I have to get book 3. so far this is a great series. What an awesome series! I had started reading it before and got sidetracked but this time nothing got in the way. I started one over and went thru the four books in a couple of days. Now to start on the others .....like Jinx!! wow such a great story. picks up where they left off the last book. 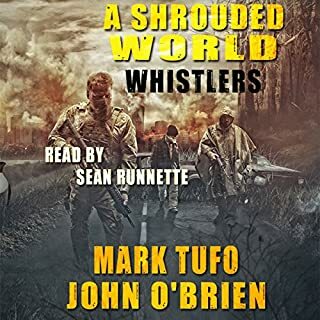 Looking forward to listening to the next audible. I love the main characters, and was spell bound in book 1, and enthralled in book 2. This series is highly recommended. This book is nonstop action, but it also has a firm plot line with things happening behind the scenes. It also includes mystery, horror, romance and a tight, genuine camaraderie between the characters. I love these characters! I feel like I know them, and they're definitely people I'd love to have on my side. 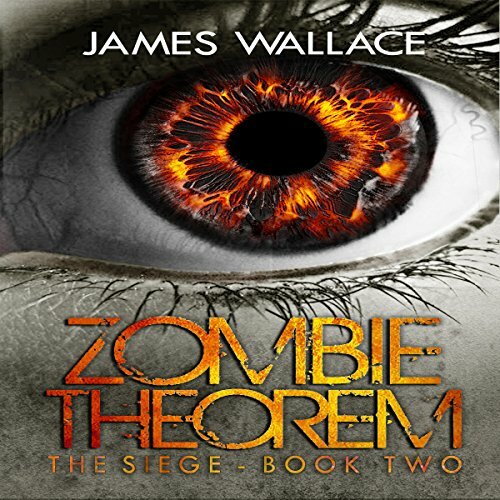 In this second book of the Zombie Theorem series, we follow Dan, Brian and their SWAT team as they struggle to make it to Dan's ex-girlfriend's house, with his dad's place being the ultimate goal. However, things are happening behind the scenes that may impact them, and not in a good way. This has become one of my favorite series. I highly recommend it! But make sure you have time, because once you start reading, you won't be able to put it down! I recognize that every author isn’t trying to write a best-seller, but this is just painful. There are so few adjectives/descriptives in this book it reads like a freshmen in high school wrote it. “...and he pulled a sauce pot to make the sauce out of the cupboard.” “I opened the entrance and he walked in.” The elementary writing coupled with the lackluster (and that’s probably more credit than is truly deserved) performance, I couldn’t make it through this book. I tried to give the benefit of the doubt by getting the second book after the first one was somewhat of a disappointment, but I should have quit when I was ahead. This must have been written for YA. I wish there was an age rating so I can avoid disasters like this in the future. Sorry. I’m returning this! Wonderful story made my long drives fly by! Looking forward to book 3! Great reader and edge of your pants writing. Amazing, you right back into the world of Dan and the team, must read. I hesitate to call this series heartwarming, but it really is. Between the greasy entrails and flesh-eating monsters, the core group of this series is very in touch with their feelings. I would like to think this kind of scenario would bring out the best of humanity, but I think my emotions would die the first time I saw Aunt Sally take a bite out of Dad. A wonderfully different take on the zombie apocalypse, ZT has made me care about these people. I cannot wait to find out what happens next! 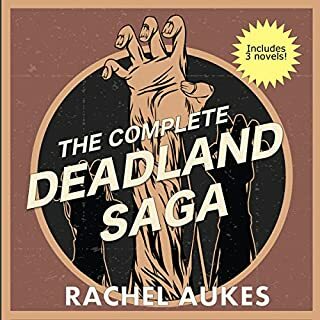 The narrator has a mid-range voice that is perfect for this type of story, and does a great job with the various voices. I like the characters the pacing and the storyline. This story is starting to kickoff and enjoying the ride.